Switzerland (German: die Schweiz, French: la Suisse, Italian: Svizzera and Romansh: Svizra), officially the Swiss Confederation, is a landlocked Alpine country in Central Europe. The country, which borders Germany to the north, France to the west, Italy to the south, and Austria and Liechtenstein to the east, was historically a confederation, and has been a federation since 1848. Switzerland has a strong economy in finance and banking, and a long and strong tradition of political and military neutrality. This background allows Switzerland to host various international co-operations and organizations. Confoederatio Helvetica, the country's official Latin name, means Helvetic Confederation. The use of Latin avoids having to favour one of the four national languages. The abbreviation (CH) is used for the same reason. The titles commonly used in French (Confédération suisse), Italian (Confederazione Svizzera) and Romansh (Confederaziun svizra) translate as "Swiss Confederation", while the German name of Schweizerische Eidgenossenschaft translates literally as "Swiss Oath Fellowship" or "Swiss Commonwealth of the Covenant". A male native of Switzerland is said to be a Schweizer and a female is a Schweizerin in Swiss German; Suisse (male) or Suissesse (female) in Swiss French and svizzero (male) or svizzera (female) in Swiss Italian. In 1291 representatives of the three forest cantons of Uri, Schwyz, and Unterwalden signed the Federal Charter. The charter united the involved parties in the struggle against the rule by the Hapsburgs, the family then holding the Duchy of Austria in the Holy Roman Empire. At the Battle of Morgarten on November 15, 1315, the Swiss defeated the Habsburg army and secured existence of the Swiss Confederation within the Holy Roman Empire. 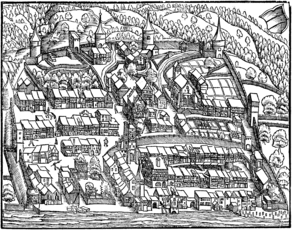 By 1353, the three original cantons had been joined by the cantons of Glarus and Zug and the city states of Lucerne, Zürich and Berne, forming the "Old Federation" of eight states that persisted during much of the 15th century (although Zürich was expelled from the confederation during the 1440s due to a territorial conflict) and led to a significant increase of power and wealth of the federation, in particular due to the victories over Charles the Bold of Burgundy during the 1470s, and the success of the Swiss mercenaries. The traditional listing order of the cantons of Switzerland reflects this state, listing the eight "Old Cantons" first, with the city states preceding the founding cantons, followed by cantons that joined the federation after 1481, in historical order. The Swiss victory in the Swabian War against the Swabian League of emperor Maximilian I in 1499 amounted to de facto independence from the Holy Roman Empire. In 1506 Pope Julius II engaged the Swiss Guard that continues to serve the Vatican to the present day. The expansion of the federation, and the reputation of invincibility acquired during the earlier wars, suffered a first setback in 1515 with the Swiss defeat in the Battle of Marignano. The success of Zwingli's Reformation in some cantons led to inter-cantonal wars in 1529 and 1531 (Kappeler Kriege). The conflict between Catholic and Protestant cantons persisted, erupting in further violence at the battles of Villmergen in 1656 and 1712. Under the Treaty of Westphalia in 1648, European countries recognised Switzerland's independence from the Holy Roman Empire and its neutrality (ancien régime). In 1798, the armies of the French Revolution conquered Switzerland and imposed a new unified constitution. This centralised the government of the country and effectively abolished the cantons. The new regime was known as the Helvetic Republic and was highly unpopular. It had been imposed by a foreign invading army, and had destroyed centuries of tradition, including the right to worship. It had made Switzerland nothing more than a French satellite state. Uprisings were common and only the presence of French troops kept them from succeeding. The brutal French suppression of the Nidwalden revolt in September was especially infamous. When war broke out between France and other countries Switzerland found itself being invaded by other outside forces from Austria and Russia. The Swiss were divided mainly between "Republicans" who were in favour of a centralised government, and "Federalists" who wanted to restore autonomy to the cantons. In Paris in 1803, Napoleon Bonaparte organised a meeting of the leading Swiss politicians from both sides. The result was the Act of Mediation which largely restored Swiss autonomy and introduced a Confederation of 19 Cantons. From then on much of Swiss politics would be about balancing the cantons' tradition of self-rule with the need for a central government. The Congress of Vienna in 1815 fully re-established Swiss independence and the European powers agreed to permanently recognise the Swiss neutrality. At this time, Switzerland experienced its last increase in territory to date, with the admission of the cantons of Valais, Neuchâtel and Geneva. In 1845, a civil war broke out between the Catholic and the Protestant cantons (Sonderbundskrieg). The Catholics disliked the moves towards a more united Switzerland which the Radical Party, then in government, was promoting. The Catholics therefore came up with a 'special treaty' ( Sonderbund) which the Radicals objected to. The war lasted for less than a month, causing fewer than 100 casualties. Apart from small riots, this was the most recent armed conflict on Swiss territory. As a consequence of the civil war, Switzerland adopted the use of referenda and a federal constitution in 1849. This constitution provided for a central authority while leaving the cantons the right to self-government on local issues. The constitution was amended extensively in 1872 in order to take into account the rise in population, the Industrial Revolution and the settling of a single currency. It also established federal responsibility for defence, trade, and legal matters. In 1893, the constitution was revised with unusually strong elements of direct democracy, which remains unique even today. Since then, continued political, economic, and social improvement has characterised Swiss history. In 1920, Switzerland joined the League of Nations, and in 1963 the Council of Europe. Switzerland proclaimed neutrality in World War I and was not involved militarily in the conflict. Neutrality was again proclaimed in World War II, and although a German intervention was both planned and anticipated, it ultimately did not occur. The massive mobilisation of Swiss armed forces under the leadership of General Henri Guisan is often cited as a decisive factor that the German invasion was never initiated. These findings also imply that Switzerland's neutrality was compromised, as some Swiss citizens may have helped to launder the wealth allegedly stolen in the Holocaust. On the other hand, during the war, Switzerland became a hub for spying activities against Germany and the Axis Powers, which helped to bring about their defeat. Women were granted the right to vote in the first cantons in 1959, at the federal level in 1971, and in the last canton, Appenzell Innerrhoden, in 1990. 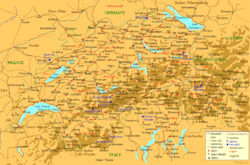 In 1979, parts of the canton of Bern attained independence, forming the new canton of Jura. On April 18, 1999 the Swiss population and the cantons voted in favour of a completely revised federal constitution. In 2002 Switzerland became a full member of the United Nations, leaving the Vatican as the last widely recognised State without full UN membership. Switzerland is a founding member of the EFTA, but is not a member of the European Economic Area. An application for membership in the European Union was sent in May 1992, but not advanced since the EEA was rejected in December 1992 when Switzerland was the only country to launch a referendum on the EEA. There have since been several referenda on the EU issue, but, as these are initiated by marginal groups within the country they have never been supported by the government. However, Swiss law is gradually being adjusted to conform with that of the EU and the government has signed a number of bilateral agreements with the European Union. Switzerland, together with Liechtenstein, has been completely bordered by the EU since Austria's membership in 1995. On June 5, 2005, Swiss voters agreed, by a 55% majority, to join the Schengen treaty, a result that was welcomed by EU commentators as a sign of goodwill by Switzerland, a country that is traditionally perceived as isolationist. The bicameral Swiss parliament, the Federal Assembly, is the primary seat of power, apart from the Federal Council. Both houses, the Council of States and the National Council, have equal powers in all respects, including the right to introduce legislation. The 46 members of the Council of States (two from each canton and one from former half cantons) are directly elected in each canton, whereas the 200 members of the National Council are elected directly under a system of proportional representation. Members of both houses serve for 4 years. Through referenda, citizens may challenge any law voted by federal parliament and through initiatives introduce amendments to the federal constitution, making Switzerland a direct democracy. The top executive body and collective Head of State is the Federal Council, a collegial body of seven members. Although the constitution provides that the Assembly elects and supervises the members of the Council, the latter (and its administration) has gradually assumed a pre-eminent role in directing the legislative process as well as executing federal laws. The President of the Confederation is elected from the seven to assume special representative functions for a one-year term. From 1959 to December 2003, the four major parties were represented in the Federal Council according to the "magic formula", proportional to their representation in federal parliament: 2 Christian Democrats (CVP/PDC), 2 from the Social Democrats (SPS/PSS), 2 Liberal Democrats (FDP/PRD), and 1 from the Swiss People's Party (SVP/UDC). This traditional distribution of seats, however, is not backed up by any law, and in the 2003 elections to the Federal Council the CVP/PDC lost their second seat to the SVP/UDC, which became the strongest party in Switzerland's legislative the same year. 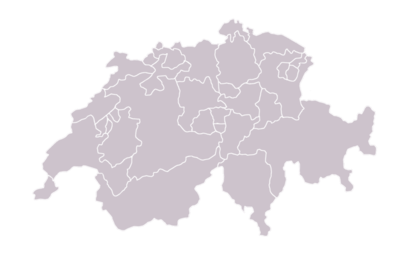 Since the entry into force of the 1848 federal constitution, Switzerland features a system of government not seen at the national level in any other place on Earth: direct democracy, sometimes called half-direct democracy since it is complemented by the more commonplace institutions of a parliamentary democracy. The instruments of Swiss direct democracy at the federal level are the constitutional initiative and the referendum, also called people's rights. These instruments also exist at the cantonal and municipal level, occasionally in an expanded or different form. By calling a federal referendum a group of citizens may challenge a law that has been passed by Parliament, if they can gather 50,000 signatures against the law within 100 days. If so, a national vote is scheduled where voters decide by a simple majority whether to accept or reject the law. Eight cantons together can also call a referendum on a federal law. Similarly, the federal constitutional initiative allows citizens to put a constitutional amendment to a national vote, if they can get 100,000 voters to sign the proposed amendment within 18 months. Parliament can complement the proposed amendment with a counter-proposal, with voters having to indicate a preference on the ballot in case both proposals are accepted. Constitutional amendments, whether introduced by initiative or in Parliament, must be accepted by a double majority of both the national popular vote and a majority of the cantonal popular votes. 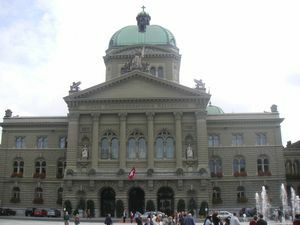 An unusual number of international institutions have their seats in Switzerland, in part due to its politics of neutrality. The Red Cross was founded there in 1863 and still has its institutional centre in the country. It is not a member of the European Union; a major referendum proposing the Swiss people rejected membership in the early 1990s. Switzerland was one of the last countries to join the United Nations, in 2002. The energy generated in Switzerland comprises around 40% nuclear power and 60% from hydroelectricity. On May 18, 2003, a popular initiative named Moratorium Plus asked about an extension of an existing law forbidding the building of new nuclear power plants. Both were turned down: Moratorium Plus by a margin of 41.6% for and 58.4% opposed, and Electricity Without Nuclear by a margin of 33.7% for and 66.3% opposed. The former ten-year moratorium on the construction of new nuclear power plants was the result of a citizens' initiative voted on in 1990 which had passed with 54.5% Yes vs. 45.5% No votes (see Nuclear power phase-out in Switzerland for details). Their populations vary between 15,000 (Appenzell Innerrhoden) and 1,253,500 (Zürich), and their area between 37 km² (Basel-Stadt) and 7,105 km² (Graubünden). The Cantons comprise a total of 2,889 municipalities. Within Switzerland there are two enclaves: Büsingen belongs to Germany, Campione d'Italia belongs to Italy. In a referendum held in the Austrian state of Vorarlberg on 11 May 1919 over 80% of those voting supported a proposal that the state should join the Swiss Confederation. However, this was prevented by the opposition of the Austrian Government, the Allies, Swiss liberals, the Swiss-Italians and the Swiss-French. With an area of 41,285 square kilometres (15,940 sq mi), Switzerland is a relatively small country. The population is about 7.4 million, resulting in a population density of 182 people per square kilometre (472/sq mi). Switzerland comprises three basic topographical areas: the Swiss Alps, the Swiss plateau, and the Jura mountains. 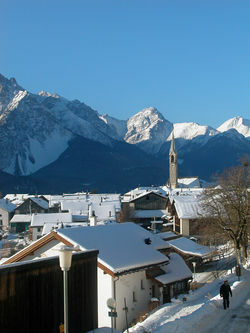 The Alps are a high mountain range running across the central-south of the country. Among the high peaks of the Swiss Alps, the highest of which is the Dufour Peak at 4,634 metres (15,203 ft), are found countless valleys, some with glaciers. From these the headwaters of several major European rivers such as the Rhine, the Rhône, the Inn, the Aare, and the Ticino flow down into lakes such as Lake Geneva, Lake Zürich, Lake Neuchâtel, and Lake Constance. The northern, more populous part of the country is more open, but can still be mountainous, for example, in the Jura Mountains, a smaller range in the northwest. The Swiss climate is generally temperate, but can vary greatly between the localities, from harsh conditions on the high mountains to the often pleasant Mediterranean climate at Switzerland's southern tip. 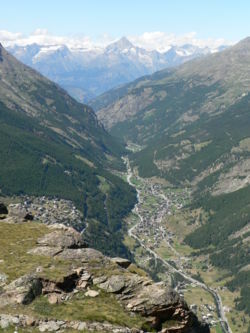 Switzerland's eco-systems can be particularly vulnerable due to the many valleys separated by high mountains, often forming unique ecologies, and the mountainous regions themselves, with a rich range of plants not found at other altitudes. See also: Swisstopo topographical survey, List of lakes of Switzerland, List of rivers of Switzerland, List of mountain passes in Switzerland. Switzerland is a prosperous and stable modern market economy, with a nominal per capita GDP that is higher than those of the big western European economies, United States and Japan, though on a PPP basis, it ranks tenth. For much of the 20th century, Switzerland was the wealthiest country in Europe by a considerable margin. However, since the early 1990s it has suffered from slow growth and, in 2005, fell to fourth among European states with populations above one million in terms of nominal Gross Domestic Product per capita behind Ireland, Denmark and Norway and to the tenth position in terms of Gross Domestic Product per capita at purchasing power parity (also behind the European countries Austria and Iceland; (see list). Switzerland is a member of the European Free Trade Association. In recent years, the Swiss have brought their economic practices largely into conformity with those of the European Union, in an effort to enhance their international competitiveness, but this has not produced strong growth. Full EU membership is a long-term objective of the Swiss government, but there is considerable popular sentiment against this. To this end, it has established an Integration Office under the Department of Foreign and Economic Affairs. To minimise the negative consequences of Switzerland's isolation from the rest of Europe, Bern and Brussels signed seven agreements, called bilateral agreements, to further liberalise trade ties. These agreements were signed in 1999 and took effect in 2001. This first series of bilateral agreements included the free movement of persons. A second series covering nine areas was signed in 2004 and awaits ratification. The second series includes the Schengen treaty and the Dublin Convention. They continue to discuss further areas for cooperation. Preparatory discussions are being opened on four new areas: opening up the electricity market, participation in the European GPS system Galileo, cooperating with the European centre for disease prevention and recognising certificates of origin for food products. Switzerland voted against membership in the European Economic Area in December 1992 and has since maintained and developed its relationships with the European Union and European countries through bilateral agreements. A full report on the potential advantages and inconveniences of full EU membership is expected to be published in June 2006 by the Department of Foreign affairs. EU membership supporters hope this report could help reopen the internal debate, which has been dormant since March 2001, when the Swiss people refused in a popular vote to start accession negotiations with the EU. Switzerland lies at the crossroads of several major European cultures that have heavily influenced the country's languages and culture. Switzerland has four official languages: German (74%) in the north and centre; French (19%) to the west; Italian (7%) in the south; and Romansh (a Romance language), that is spoken locally by a small minority (< 1%) in the southeastern canton of Graubünden. (Some dialects of Franco-Provençal have speakers in rural communities in the region where French is spoken. This language has no legal status.) The federal government is obliged to communicate in the four official languages. In the federal parliament, German, French, Italian and Romansh are the official languages and simultaneous translation is provided. The German spoken in Switzerland is predominantly a group of dialects collectively known as Swiss German, but written communication and broadcasts typically use standard High German. 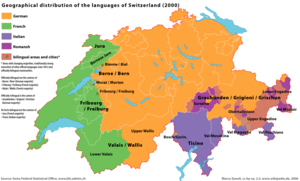 Similarly, there are some dialects in the other speaking part of Switzerland, called Swiss French and Ticinese (a dialect of Italian). Also the official languages (German, French and Italian) borrow some terms not understood outside of Switzerland, i.e. terms from other languages (German Billette from French), from similar term in another language (Italian azione used not as act but as discount from German Aktion). Learning one of the other national languages at school is obligatory for all Swiss, so most Swiss are supposed to be at least bilingual (in reality, many Swiss are more fluent in English than in their own country's other languages, particularly the German-speaking Swiss). Resident foreigners and temporary foreign workers make up about 21% of the population. Most of these are from European Union countries (Italians being the largest group, at 4%), with smaller numbers from the rest of the world, including refugees from the former Yugoslavia (5%) and Turks (1%). The country has seen growth in the population of Hmong, Lao and Vietnamese people, and also immigrants from Mexico and South America. Switzerland has no country-wide state religion, though most of the cantons (except for Geneva and Neuchâtel) financially support through taxation either the Roman Catholic Church, the Old Catholic Church, or the Swiss Reformed Church. The most popular religion in Switzerland is the Roman Catholic Church (44% of the population). There are various Protestant denominations (38.5%), while immigration has brought Islam (4.3%) and Eastern Orthodoxy (1.8%) as sizeable minority religions. The stability and prosperity of Switzerland, combined with a linguistically diverse population, has led some to describe the country as a consensus, or consociational state. The country is historically about evenly balanced between Catholic and Protestant, with a confusing patchwork of majorities over most of the country. 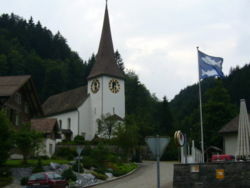 Some cantons, such as Appenzell, are even officially divided into Catholic and Protestant sections, and many villages have the predominant religion posted on the signs leading into them, stating in effect "this is a Catholic/Protestant village". However, there are some overall patterns. 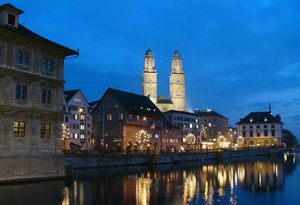 Among the larger cities, the capital Bern, the banking centre Zürich, and Basel are predominately Protestant, whereas others such as Luzern are mostly Catholic. Geneva is famous as an early Calvinist centre, and a majority of Swiss French are Protestant, in contrast to French elsewhere in the world who are mainly Catholic. On the other hand, the founding core of Switzerland, the German-speaking cantons of Schwyz, Uri, and Unterwalden, are mainly Catholic, as is Italian-speaking Ticino. 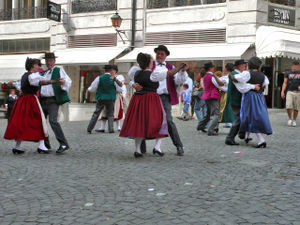 The culture of Switzerland is influenced by its neighbours, but over the years a distinctive culture with strong regional differences has developed. In particular, French-speaking regions have tended to orient themselves on French culture, German-speaking on German culture, and Italian-speaking on Italian culture; thus, a region may be more strongly culturally connected to the neighboring country that shares its language than to the rest of its own land. The linguistically isolated Rhaeto-Romanic culture in the eastern mountains of Switzerland is also robust. This strong regionalism in Switzerland makes it difficult to speak of a homogeneous Swiss culture. A number of culturally active Swiss have chosen to move abroad, probably given the limited opportunities in their homeland. At the same time, the neutrality of Switzerland and the low taxes have attracted many creative people from all over the world. In war times the tradition of political asylum helped to attract artists, whilst recently low taxes seem predominant. Switzerland is one of the least corrupt countries in the world, according to Transparency International.